and to think, Sydney wasn’t even a twinkle in our eyes yet. Congratulations on your new online venture. I am so proud of you! Thanks for your encouragement, love and support babe! Oops! It wasn’t my old bike after all! I just remembered your dad got my old bike and fixed it all up. Thought he gave it to you. 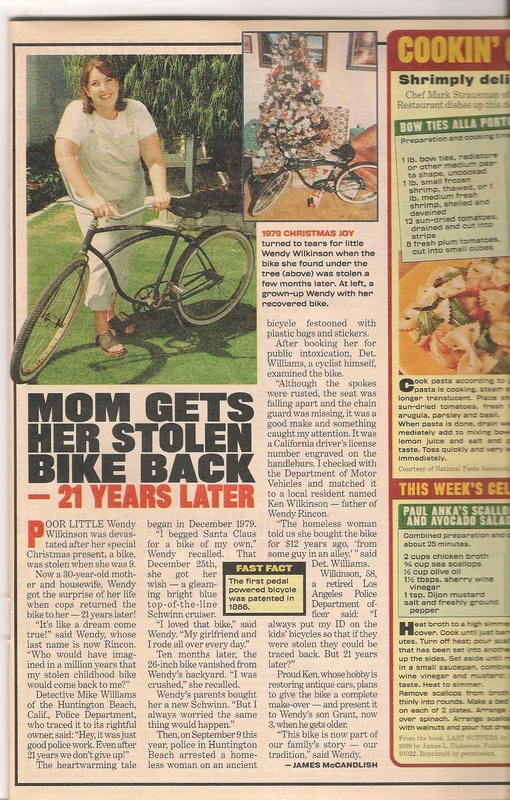 But, I did remember the story of the stolen bike so guess I’m not completely senile yet—just teetering on the edge.